Ford is running out of stock, fast. Ford’s announcement earlier this year that it would phase out its sedans to concentrate on SUVs and crossovers was a big one. It was only a matter of time until the new Focus Active crossover and Mustang were the only non-SUVs in the lineup but we didn’t think that it would happen so soon. , recently tweeted that Ford is down to around 15,000 2018 model year Focus sedans. The information was gleaned from a sales call to Mark LaNeve, Ford’s VP of Marketing, Sales and Service in the US. 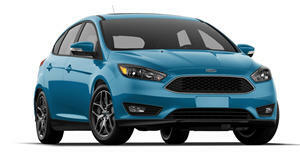 Now 15,000 cars may seem like a lot but seeing as Ford sold just over 75,000 Focus models in the first half of this year, a quick calculation reveals that they have approximately 36-days left before they run out of stock completely. Martinez had earlier reported that of this year while the Taurus would continue on until March 2019 and the Fiesta until May next year. It is therefore not surprising that the Focus is the first to go and most customers will likely move to crossovers or competitive offerings such as the Honda Civic and Toyota Corolla. For the time being, , after all the top six best-selling sedans in the US are all from the land of the rising sun. Ford, meanwhile, is focusing on retooling its plants to shift production to SUVs and the upcoming electric vehicle rollout, a move that may result in job cuts both in the US and in its European plants. Hopefully, this restructuring will better prepare it for the tough period the industry is going through.